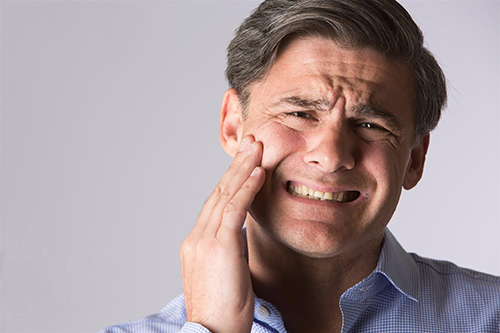 The temporomandibular joint connects your lower jaw to the temporal bone at the side of your head and allows you to open and close your jaw. When this joint becomes inflamed, the condition is known as temporomandibular joint (TMJ) disorder. It can trigger pain throughout the head, face, and shoulders, and, in rare cases, lockjaw. At our dental practice in Troy, MI, Dr. Keith Kelley provides TMJ treatment to realign your jaw and relieve pain. In addition to certain self-care practices, we provide specialized oral appliances to prevent symptoms from recurring. However, this condition affects each patient differently. Because most cases are mild, the symptoms can improve or disappear spontaneously. For more serious cases, though, pain may be persistent and long-term. Oral appliances such as a mouthguard are often recommended to realign jaw joints affected by TMJ disorder. Additionally, TMJ disorder is more common for women than for men, especially between ages 18 and 44. If you are concerned about a risk factor, Dr. Kelley assess your jaw and determines if you are susceptible to TMJ issues. We can also advise you on at-home techniques to reduce stress on your joints. For mild TMJ issues, you may be able to moderate or eliminate symptoms with home care remedies such application of ice packs . Many patients find that eating soft food and avoiding extreme jaw movements, such as loud singing or wide yawning, can reduce stress on your jaw joint. Some patients also find gentle stretching and other relaxation techniques beneficial options, as well. Depending on the severity of your condition and the suspected cause, Dr. Kelley may recommend the use of an oral appliance. Treating the underlying cause of your TMJ is another effective solution for relieving symptoms. For example, if you have issues with your jaw because of misalignment, orthodontic treatment with Invisalign® or metal braces may help ease jaw pain. 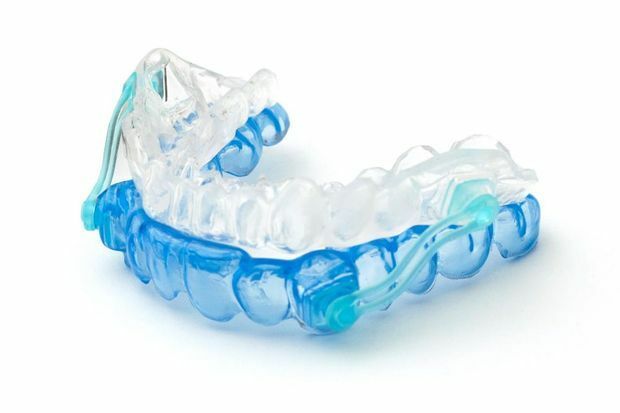 Depending on the severity of your condition and the suspected cause, Dr. Kelley in Troy Michigan may also recommend an oral appliance such as a mouthguard to wear while you sleep. The device prevents clenching and grinding and can gently realign your jaw to protect your joints from strain. This method is the most effective way to prevent TMJ disorder from recurring. Issues with your jaw joint can become serious if left untreated. However, with a specialized oral appliance from Dr. Kelley, there is no need to suffer through jaw and tooth pain. Learn more about our TMJ treatment options by contacting us online or calling our office at (248) 828-3185 today.